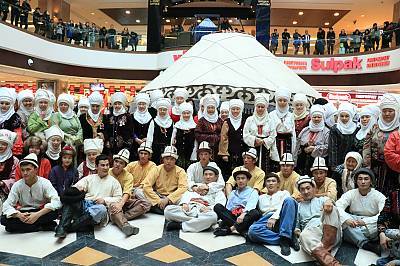 EN: The secrets of crafting transmitted from older generation to younger people. 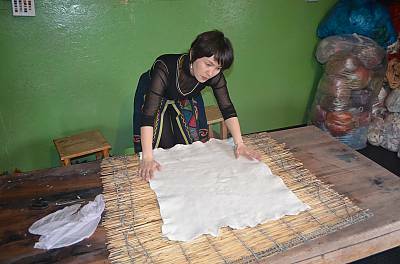 They learn the variety of Ak-kalpak's cut and sewing. 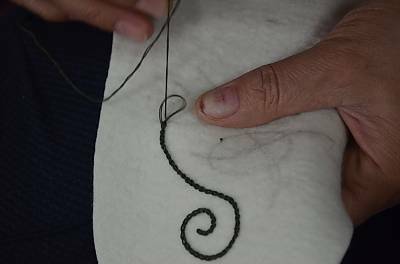 EN: Embroidery of Ak-kalpak patterns; Ak-kalpak is often decorated with various ornaments, each of which has its own special meaning and can be interpreted. 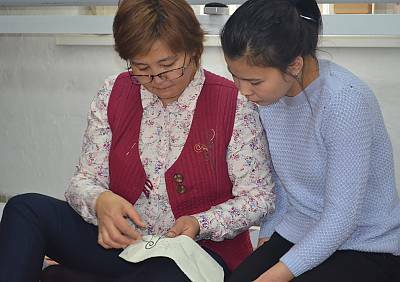 EN: The knowledge and skills of Ak-kalpak craftsmanship are transmitted from the older generation to the younger one through practical training in-person sessions. 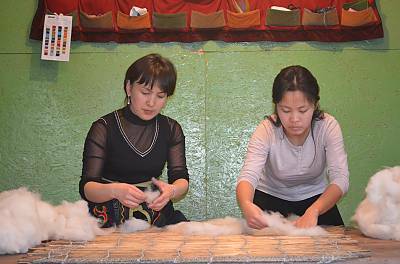 The training happens in craftswomen's workshops, from masters to trainees. 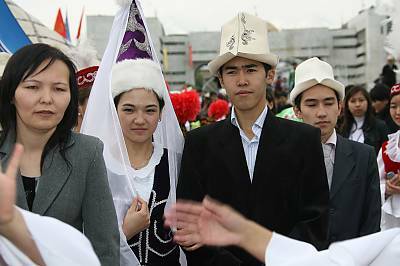 EN: A groom and a bride in Kyrgyz traditional headwears, Ak-kalpak and Shokulo; the modern Kygyze wedding clothes organized in different ways; however, wearing Ak-kalpak is still safeguarded. 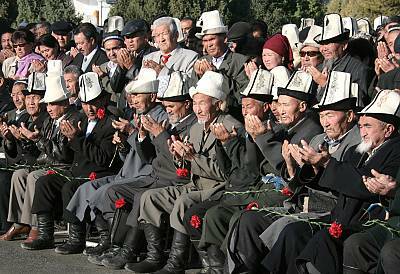 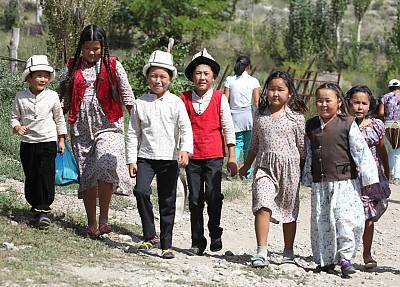 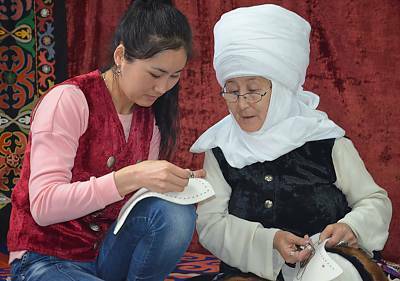 EN: The Kyrgyz traditional clothes and headwears Ak-kalpak and Elechek; the distinct features of Kyrgyz traditional clothes are typical to the nomad clothing. 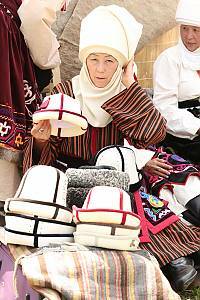 For many centuries, the traditional clothes are still safeguarded; and they have never changed its form.